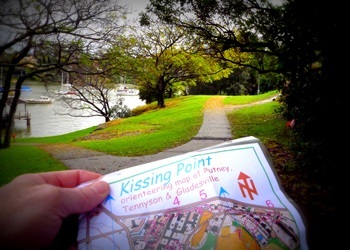 Tuesday, 4 November 2014 - Sydney - what an interesting event last Saturday at Callan Park. Uringa hosted our first ever "ultra sprint" amongst the remnant buildings and hundreds of trees in the old asylum. We were blessed with nice balmy weather - a touch on the warm side. 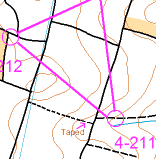 The event involved running 3 separate 1km courses within a 2 hour period. There were around 20 controls on each course and multiple, unnumbered controls were often located within a few metres of each other. With winning times of around 7 minutes for each course, fast thinking and running was required. See results. 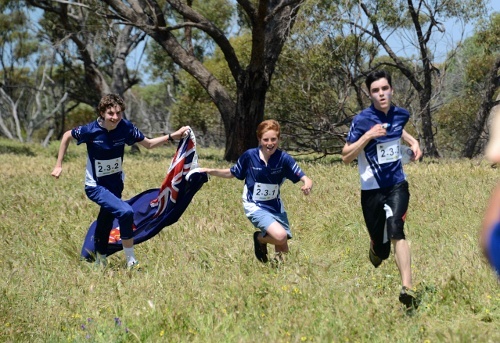 Sunday, 5 October 2014 - Northam, Western Australia - A swag of Garingal members attended the national orienteering championships held last week just west of Perth in WA. Photos can be found here. The signature event at the champs is the long distance event which was held in granite terrain just outside the town of Clackline. The morning dawned to be a beautiful clear day in the low 20°s. The assembly area was a lovely green-grassed paddock and the courses were fast with minimal climb and plenty of granite boulders. 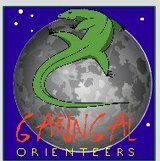 Garingal had 18 members competing with podium finishes for M85 Neil Schafer - 1st, M70 Ron Junghans - 2nd, W12 Ellen Currie - 2nd and W20E Michele Dawson - 4th (3rd Aussie. We were fortunate to have such a lovely day because the next day for the Relay Champs the weather changed for the worse, with gusty intermittent heavy showers. At the Presentation the rain stayed away just long enough for Michele Dawson to be awarded the Junior National Orienteering League Title - congratulations Michele! 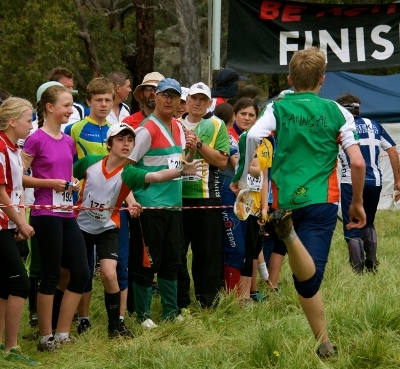 The carnival also includes the Australian Schools Championships where each State sends a team of up to 20 juniors to compete against each other in a long event and a relay. Garingal has a very strong junior program and 9 of our juniors were part of the NSW representative team which competed in the schools champs. The NSW team was competitive and the highlight was the stunning win of the junior boys relay team over all States and the New Zealand team. Garingal's Duncan Currie teamed up with Big Foot's Callum Davis and Alistair George to form the junior relay team which blew away the much more fancied opposition to come in clear winners on a very hot day. The senior boys relay competition featured and all-Garingal team of Daniel Hill, Toby Wilson and Aidan Dawson who were the 3rd Aussie team home just a few minutes shy of the Tassie winners. Daniel Hill had a couple of excellent runs amongst the granite and was selected in the schools team to represent Australia in the test match against New Zealand in Tasmania in January. Well done also to Garingal's Melissa Annetts, Alex Kennedy, Tom Kennedy, Joanna Hill and Hugh Gingell and all of the NSW team for great performances. Sydney Summer Series Started !